Hardee's new "Tastes Like America" campaign features hick hop music star, Big Wet, whose voice personifies an authentic, relaxed vibe that 'comfort culture' is all about. His voice is featured on Hardee's new television commercial and anthem song, which partners his musical style with real people in Hardee's markets. FRANKLIN, Tenn.--(BUSINESS WIRE)--CKE Restaurants, Inc. today announces they are further evolving the separation of their iconic restaurants by saying “Welcome Home to Hardee’s,” celebrating the distinct customer, food culture, and voice Hardee’s has in America. Hardee’s on Facebook (www.facebook.com/hardees), Twitter (@Hardees) and Instagram (@Hardees) for the latest product news and promotional offers. CKE Restaurants Holdings, Inc. (“CKE”) is a privately held company headquartered in Franklin, Tenn. CKE is not a franchisor and conducts substantially all of its restaurant activities and operations through its subsidiaries. Carl’s Jr. Restaurants LLC and Hardee’s Restaurants LLC own, operate and franchise the Carl’s Jr., Hardee’s, Green Burrito® and Red Burrito® concepts. Carl’s Jr. and Hardee’s operate as one brand under two names, acknowledging the rich regional heritage of both banners. After recent international openings in Chile, Cambodia and Kenya, Carl’s Jr. 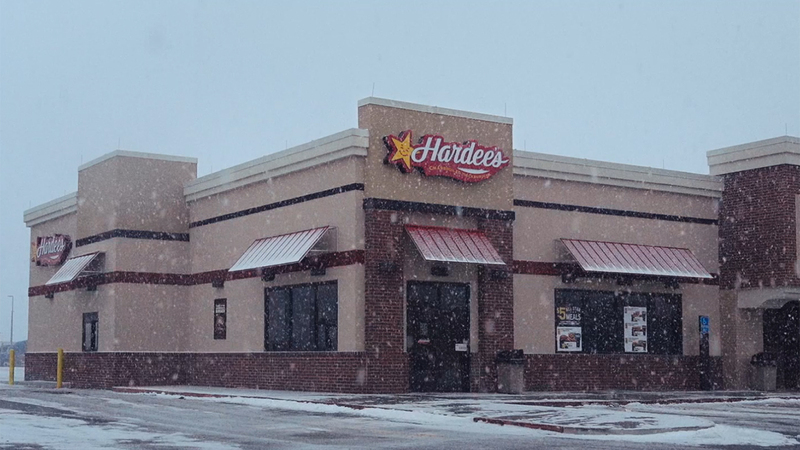 Restaurants LLC and Hardee’s Restaurants LLC now have over 3,800 franchised or company-operated restaurants in 44 states and 43 foreign countries and U.S. territories. Known for its one-of-a-kind premium menu items such as 100 percent Black Angus Thickburgers®, Made from Scratch™ Biscuits and Hand-Breaded Chicken Tenders™, as well as an award-winning marketing approach, the Carl’s Jr./Hardee’s brand continues to deliver substantial and consistent growth in the U.S. and overseas. The Carl’s Jr./Hardee’s system is now 94 percent franchised, with international restaurants representing 21 percent of the system. For more information about CKE, please visit www.ckr.com or its brand sites at www.carlsjr.com and www.hardees.com. Havas U.S. is a progressive agency focused on being the most valuable partner to the modern CMO. It offers a comprehensive mix of capabilities that aren’t what you’d expect to find in a creative firm, such as experience design, cognitive, data and technology. With Villages in New York and Chicago, Havas U.S. brings nearly 2,700 of the most talented people in the business. As the most modern, flexible and agile agency in the U.S., Havas U.S. reinforces the following five key pillars in everything it does: creativity, culture, community, consumer experience and commerce. We are creators. We are data. We are social. We are ideas. For more information, visit havas.com or follow Havas on Twitter (@havas), Facebook (facebook.com/havas) and Instagram (@havas).